St. Louis and Princeton, MO – An unprecedented gathering of business, agriculture, grazing, conservation and government change-agents helped launch a market-based approach to reduce soil erosion and nutrient run-off on endangered landscapes. 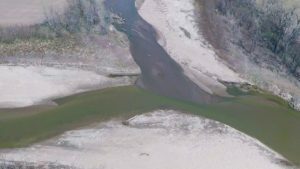 The Grand River Conference pilot project seeks to improve a watershed that contributes heavily to the expanding Gulf of Mexico ‘hypoxia zone’ and establish a model that can be implemented across the Mississippi River basin. The ultimate goal is to affect 30 million acres in 30 years. Approximately 200,000 acres is being strategically selected to implement alternative land use practices that will improve the Grand. 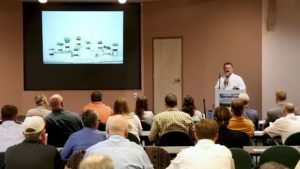 A video report summarizing the conference is available at http://roesleinalternativeenergy.com/grand-river-watershed/. Participating landowners would receive payment for harvesting and selling native prairie and cover crop vegetation as biomass for renewable natural gas (RNG) production. Existing environmental incentive and conservation program funding would be utilized for additional financial incentive to participate. The Grand River conference was organized by St. Louis-based Roeslein Alternative Energy (RAE) and hosted by Smithfield Foods at their regional office in Princeton, Missouri on May 17, 2018. RAE is in engaged in a large project to capture methane from hog manure at Smithfield’s nine northern Missouri farms and convert it to renewable natural gas using anaerobic digestion systems. 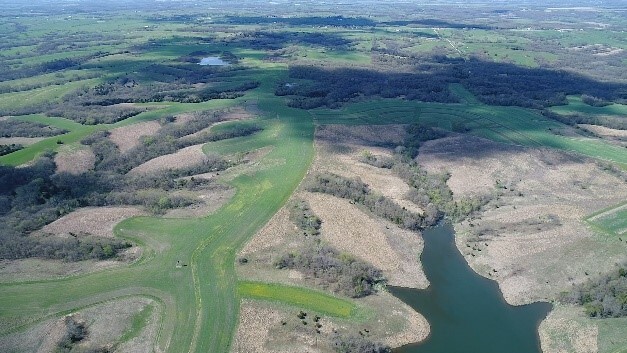 The Smithfield Foundation, Smithfield’s philanthropic arm, and the Environmental Defense Fund have already committed resources to convert 1,000 acres of highly erodible land to native prairie as part of the Grand River initiative. “We are starting in the uplands by trying to affect the Highly Erodible Land in those portions of the watershed with productive prairie that meets all three objectives of the vision: Ecological services, wildlife habitat benefits and biomass yield for energy production,” Murphy said. The Grand River Conference ignited a spark within the conservation community to drive action to preserve and restore landscape, with participants initiating action items that resulted from it. Announcements on progress toward assembling the 200,000 acres for the pilot program are forthcoming.